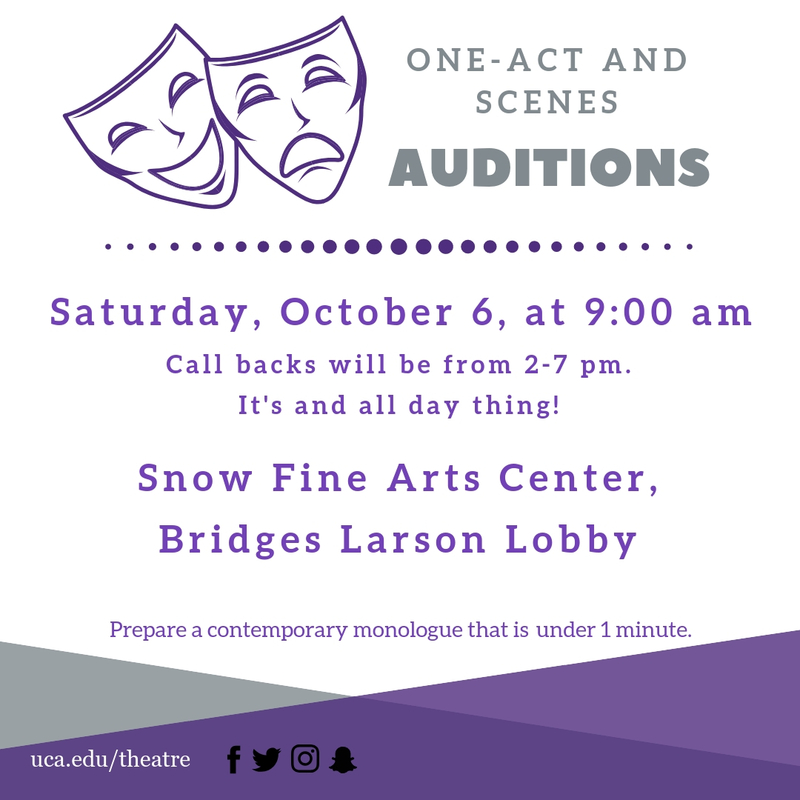 Auditions for UCA Theatre productions are open to all UCA students. 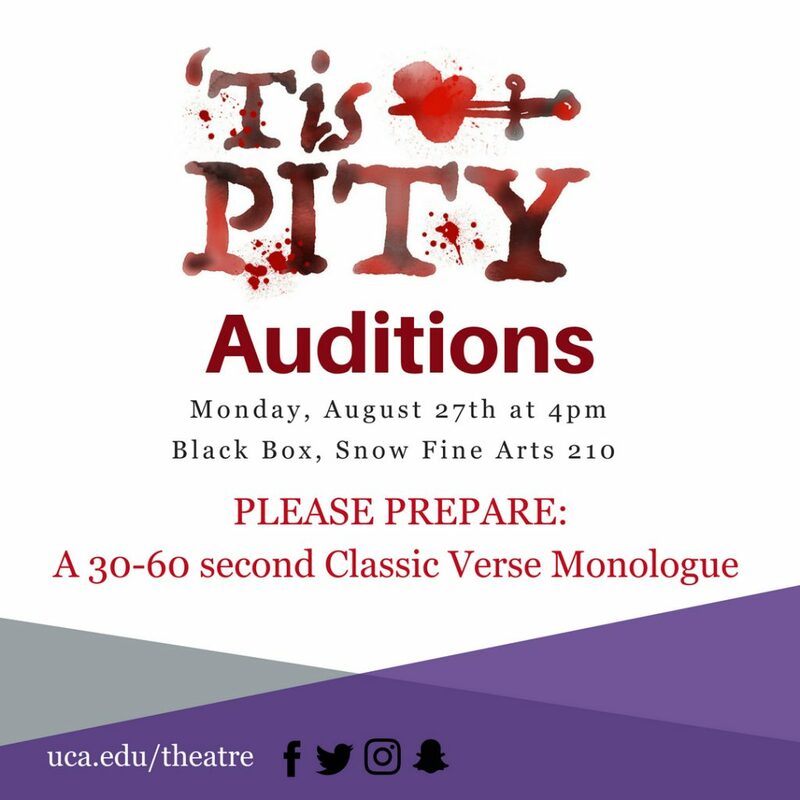 Preference may be given to Theatre majors and/or minors. 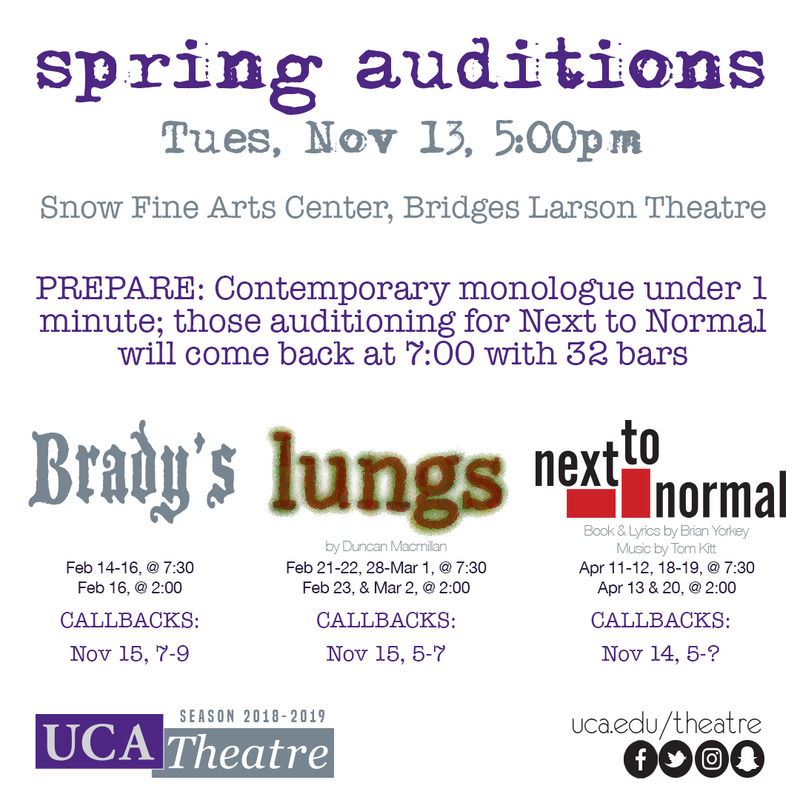 If you need further information, contact Melissa Pearson, UCA Theatre Business Manager, at melissap@uca.edu.